We’ve got some very exciting news for NJ moms and dads: We’re going to be hosting our first-ever Family Weekend on Saturday, January 6 and Sunday, January 7! 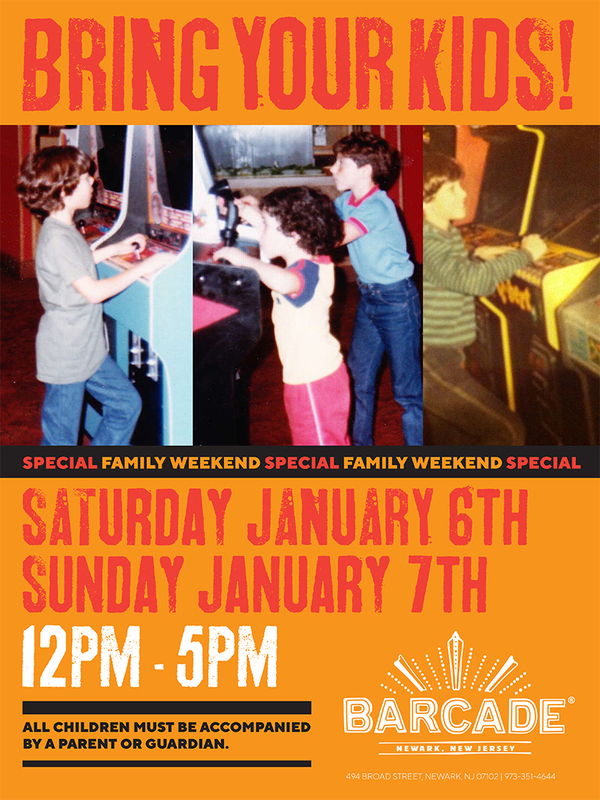 Bring your kids to Barcade Newark that weekend between noon and 5PM, and show them the classic games you grew up with! We’ll also have a special Kids Menu both days. More details to come, but get ready for some awesome old-school family fun.